What's better than an apple crumble cake? 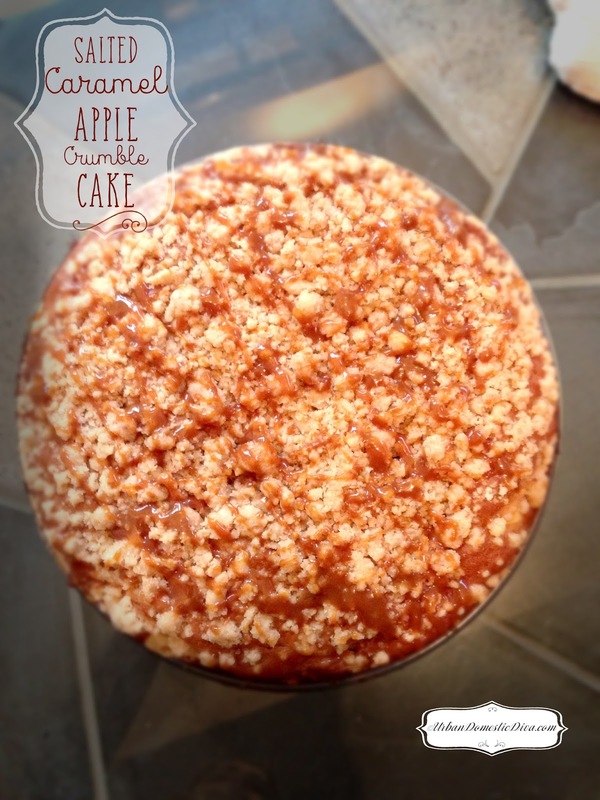 How about apples laced with gooey caramel? You know, like caramel apples you get at fall festivals? 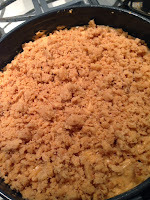 How about I see your caramel apple cake, and raise you some crumbly, briny sea salt? The perfect compliment to caramel? 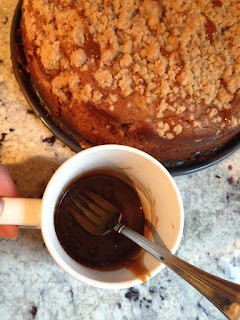 That's what I concocted here for my Esposito family book club. Amazing ladies deserve amazing dessert. And I delivered! The book was pretty good too. It was "The Martian" by Andy Weir. Thumbs up from most of us! Two thumbs up for the cake. Spray a spring form pan with nonstick cooking spray and set aside. In a saute pan, melt the butter over medium heat. 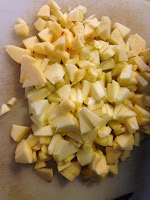 Add the apples and mix the salt and lemon juice with it and cook on medium heat until the apples begin to soften. Once softened, add the caramel topping and mix well. 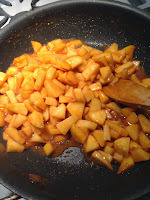 Cook the apples for a few more minutes in the sauce then turn off the heat. Let the apples cool down a bit while you make the cake batter. 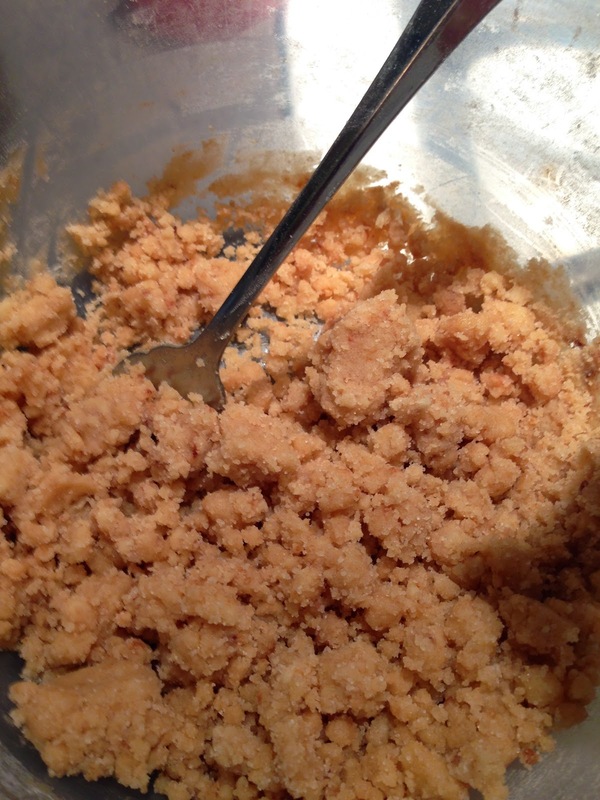 Mix the flour, salt and baking soda in a medium bowl and set aside. 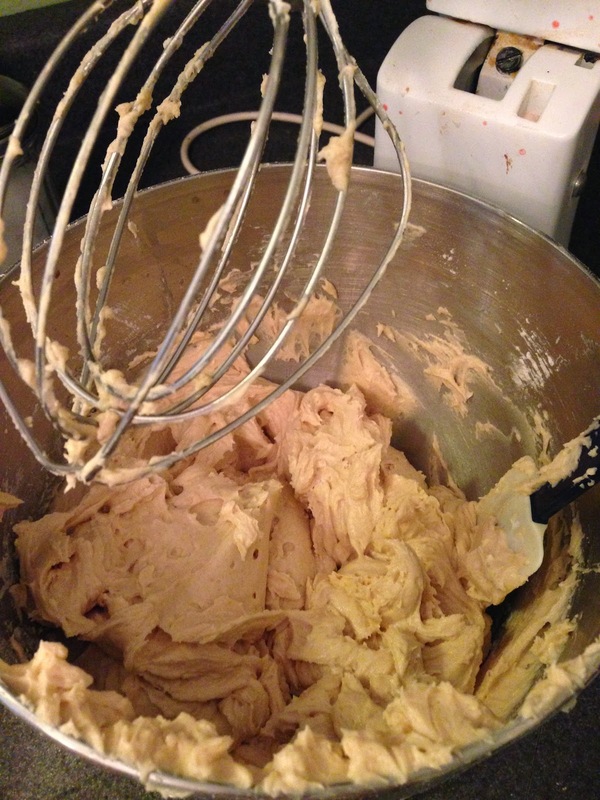 In a large bowl with a stand mixer cream the butter. Add the eggs and sugar and beat well until light and fluffy. Next add the vanilla and cinnamon. Mix well. 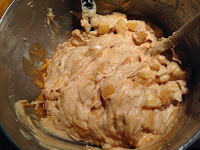 Alternate adding the flour mixture and the sour cream twice, mixing after each addition. End on the sour cream and give it a couple more whirls of the beater then stop. 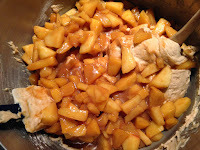 Fold in the apple mixture by hand until just blended evenly. Pour the batter in your waiting spring form pan. Next, mix your crumble mixture in a small bowl and use a fork or fingers to combine until a lumpy crumble texture. Crumble the topping all over the top of the batter evenly. 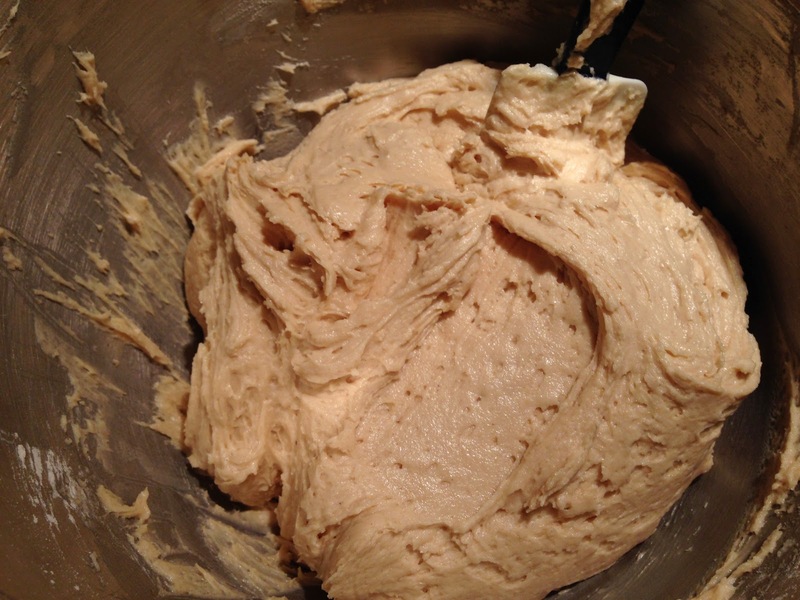 Bake for 40-50 minutes, until the top is golden brown and cake springs back when touched. 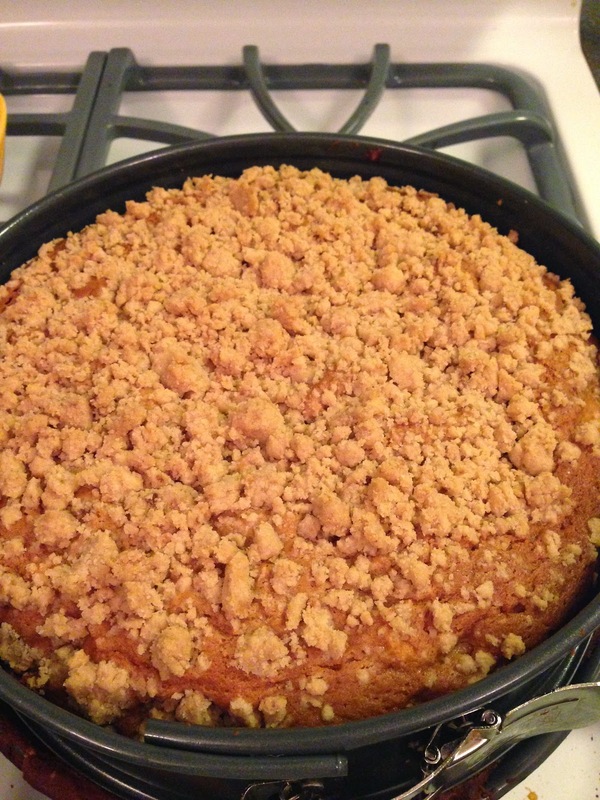 Let cool in the pan for an hour on a wire rack. 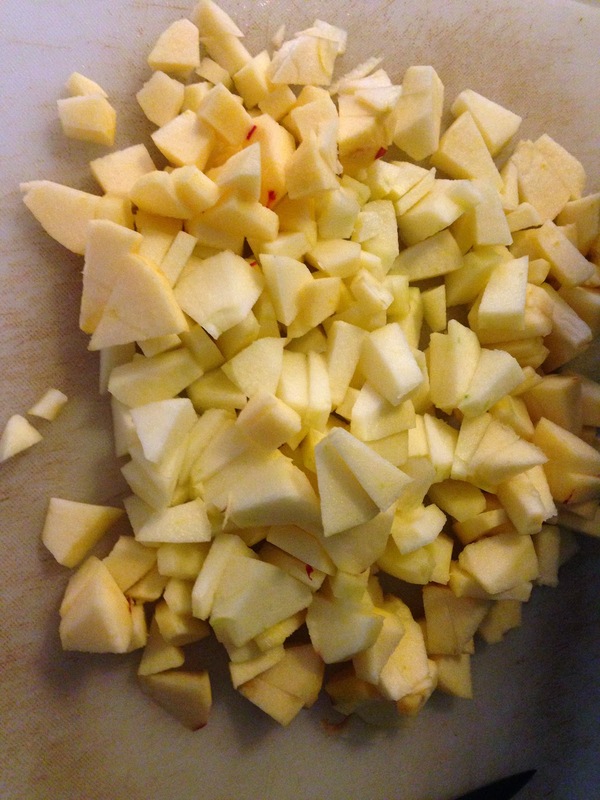 Carefully unclip the sides and let cool completely. 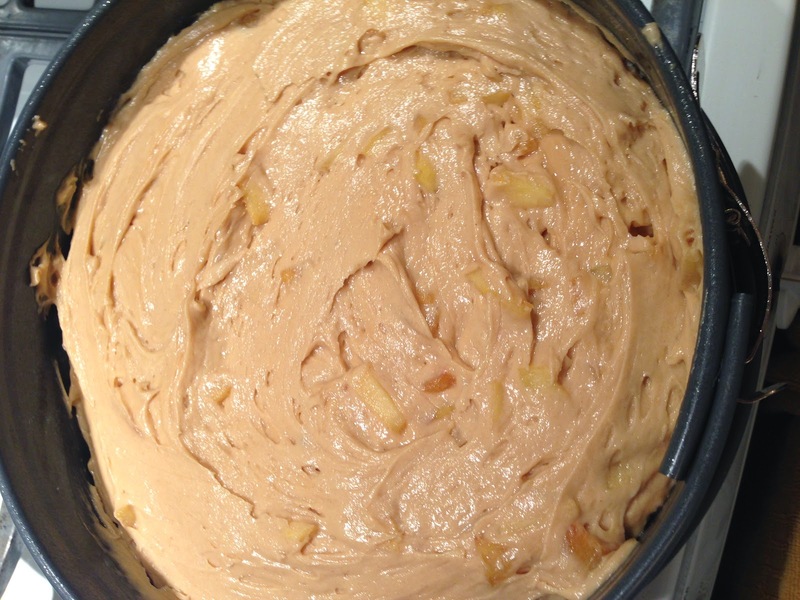 In a small bowl heat the caramel topping in the microwave at 50% power for 10-20 seconds. 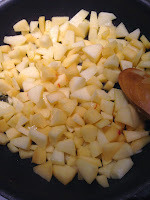 Mix the salt and let sit a few minutes to thicken again slightly so it is of drizzling consistency. 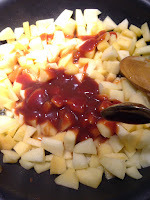 Use the tines of a fork to drizzle to top of the crumble all over. Serve with some vanilla ice cream.